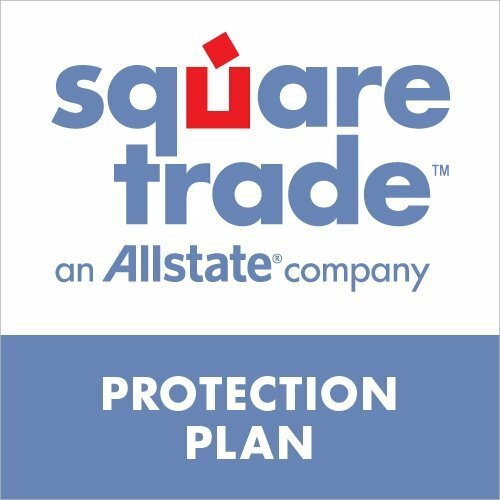 Sold by DiamondWhite and ships from Amazon Fulfillment. 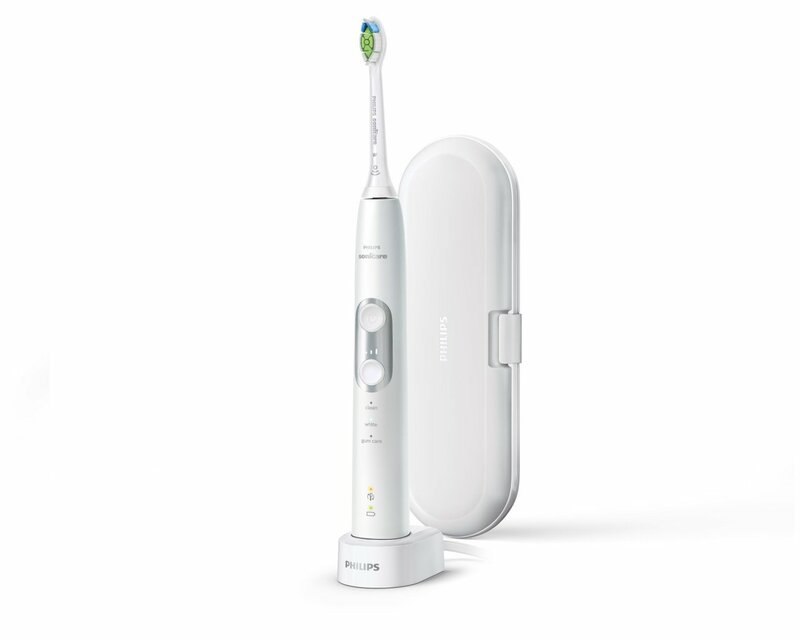 Our built-in pressure sensor lets you know if you're brushing too hard, to help protect your teeth and gums. 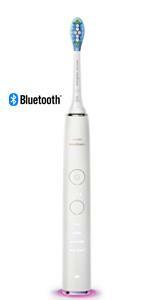 This electric toothbrush allows you to customize your brushing with a choice of three modes and three intensities. 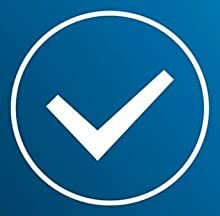 Clean mode is standard for superior cleaning. White mode is the ideal mode for removing surface stains. 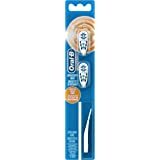 Gum Care mode adds an extra minute of reduced-power brushing, so you can gently massage your gums. 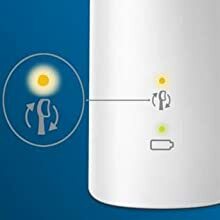 Three intensities allow you to choose between a higher setting to boost your clean and a lower one for more-sensitive mouths. 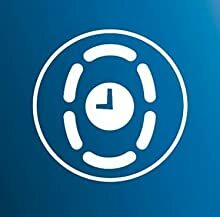 BrushSync tracks how you long you've been using your brush head for, and how hard you've been brushing. When it's time to replace the brush head, a light on your handle lets you know. That way, you can be sure your brush head is always performing its best. The premium travel case stores the electric toothbrush hygienically, while the compact travel charger keeps you topped up when you’re on the go. You do get two weeks of regular use from a single full charge, but the charger's just the ticket for longer trips. 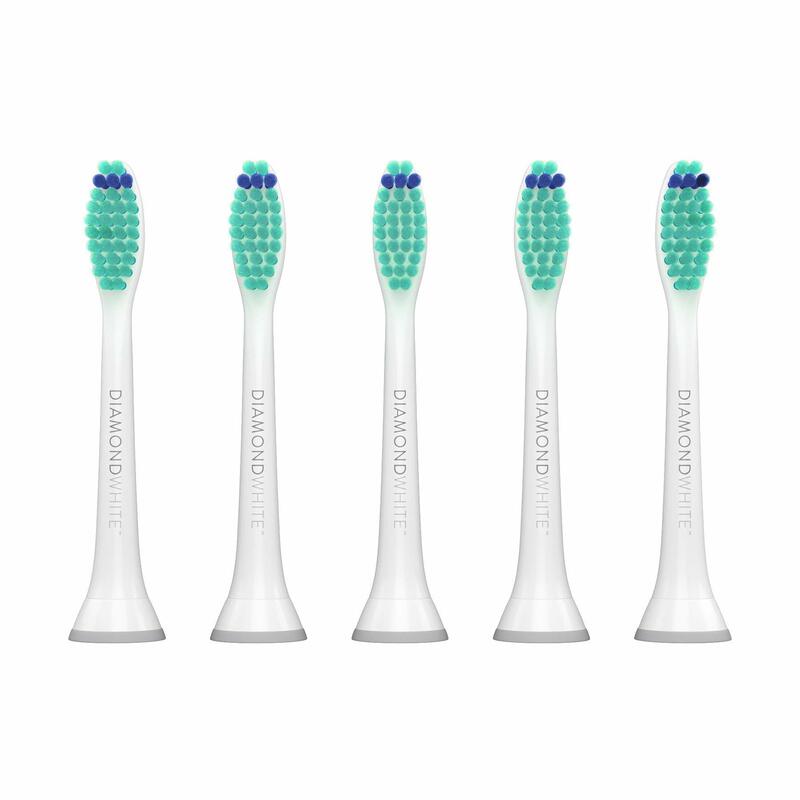 Click on the W DiamondClean brush head to remove surface stains and reveal a whiter smile. With its densely packed central stainremoval bristles, it's clinically proven to whiten teeth in just one week. BrushSync mode pairing tells your smart handle which smart brush head you're using. 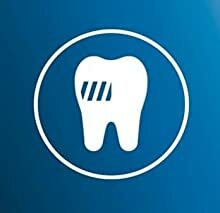 Click on a gum care brush head,your toothbrush knows to select the optimal mode and intensity for your gums. All you need to do is to press the power button. 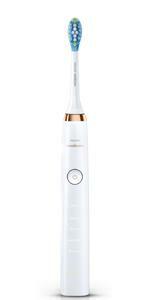 Enhancing our sonic technology, they give you unrivaled cleaning. 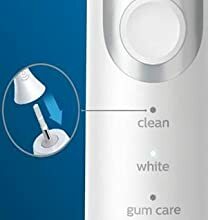 High-speed vibrations in your toothbrush handle power up to 31,000 brush strokes per minute that whip up your toothpaste into plaque fighting bubbles, driving them deep between your teeth and along the gum line for exceptional cleaning. All brush heads wear out over time. 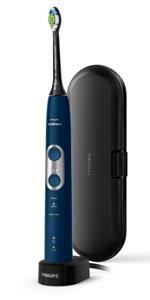 But our BrushSync technology tracks how long you've been using your brush head for, and how hard you've been brushing. When it's time to replace it, a light on your handle and a short beep will let you know. 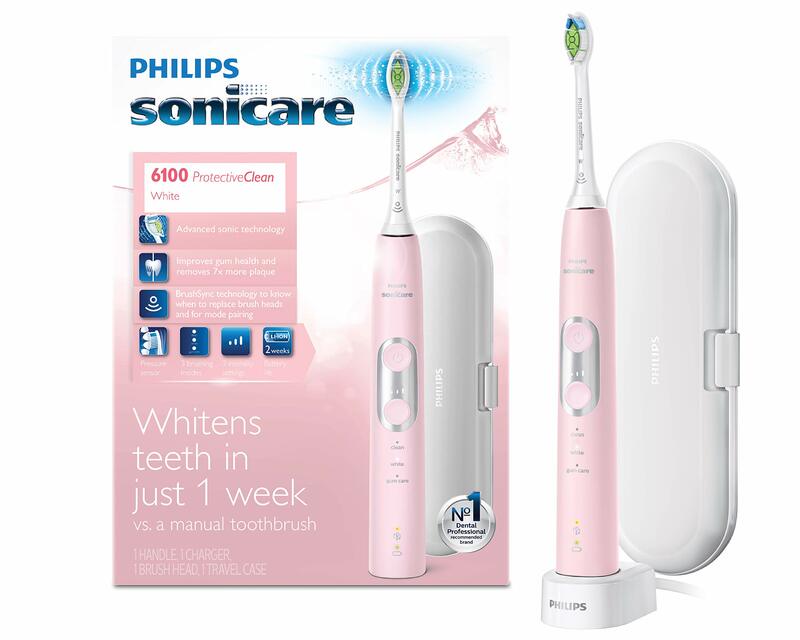 After spending hours diligently researching the entire US electric toothbrush market, I chose this sonic Philips 6100 model. 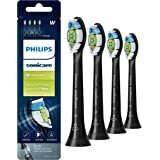 I would have also tried an ultrasonic toothbrush but found that most were “currently unavailable” and/or offered by small companies with service issues. Sonic and ultrasonic are different but are often confused in review articles, even in some written by “experts”. 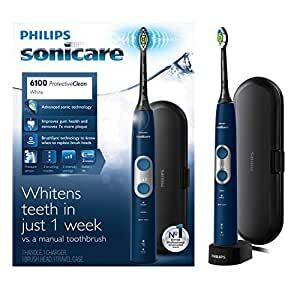 All of the current model Philips sonic toothbrushes operate with 31,000 brush strokes per minute, so they will all remove plaque and do an excellent job of cleaning. 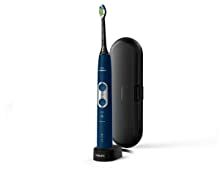 The sonic technology creates perceptible micro bubbles that circulate between teeth and below the gumline which assist in making my mouth feel extra clean. Various features are important to different users and influence pricing structure. 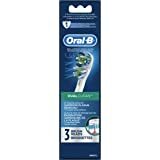 Having been a hard brusher for much of my early life, the pressure sensor was theoretically one of the most important reasons that I chose this toothbrush. In my opinion, one has to press unreasonably hard while brushing to elicit the pressure sensor’s vibration change. So in its current version, I do not think this feature is realistically very helpful. 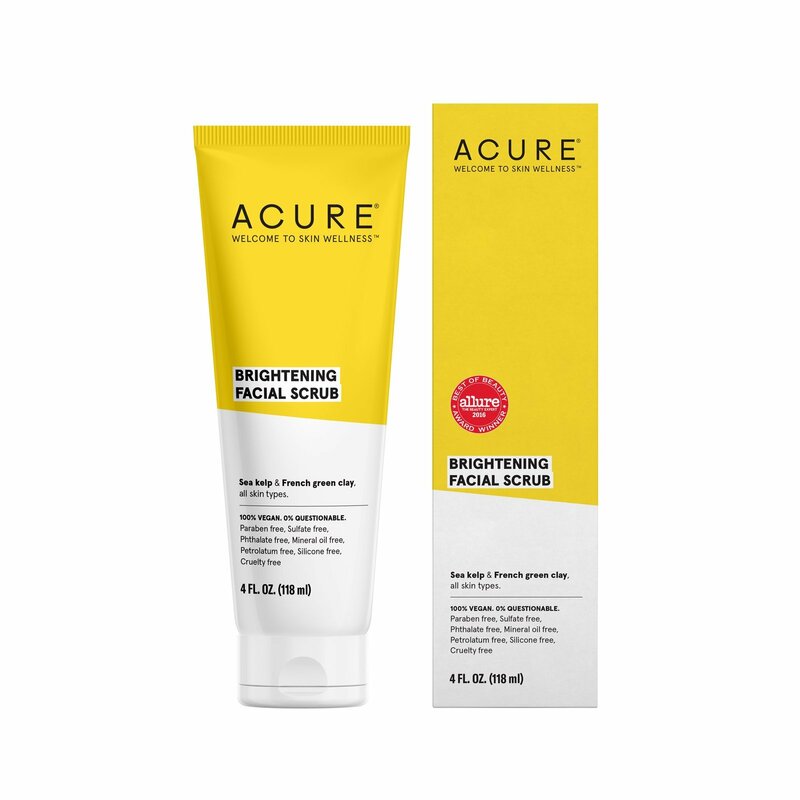 The whitening feature is real, but people should realize that it is not intended to be a whitening treatment to change the actual shade of the teeth. It can help minimize / remove extrinsic stains from coffee, wine, etc if used appropriately. For me, an important positive not usually mentioned is that this toothbrush will lie stably on its side on a flat surface vs rolling around. 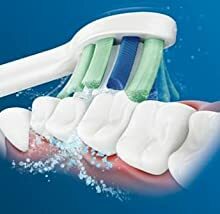 So if you want to lay it on a countertop and apply toothpaste, it will stay in position and not roll over, spilling toothpaste. The finish is rather slick, and it can be hard to keep a grip at times. The addition of a rubberized grip strip could be an improvement. I wrapped a rubber band around the handle which is tempering the problem. 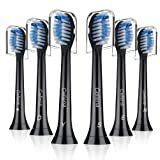 Overall, this is an excellent toothbrush with quad pacer timer, 3 intensity levels, Smart Brush technology and a brush change reminder. 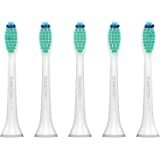 5.0 out of 5 starsI highly recommend this toothbrush! 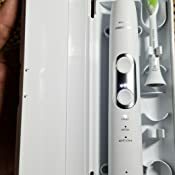 I did some investigating to find the best electric toothbrush and I am so glad I chose this one. 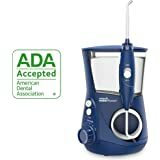 Even though I had an older Sonicare that was fine, this one is so much better. 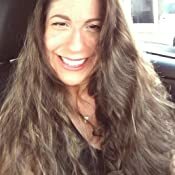 I could tell it was doing a better job right away and when I went for my last cleaning the hygienist said that my teeth looked remarkably clean. It also seems quieter than my last one and takes less room on the counter. 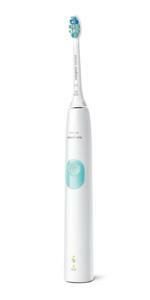 This toothbrush has much less power then my previous Sonicare. I have owned several of these over the years. This one is by far the worst. 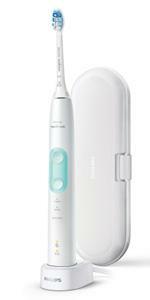 Even at its highest setting, I can not get the power I got from my previous Sonicare brushes. 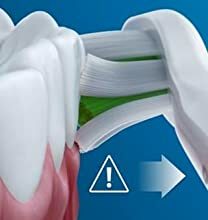 If I push harder against my teeth, it just stops vibrating. The gap between the end of the toothbrush and the handle is larger then it should be, but it does not push down any further. 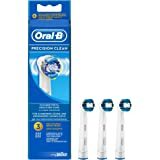 After being a Sonicare user for many years, I am switching to Oral B. 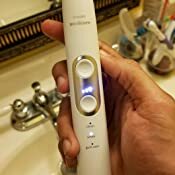 5.0 out of 5 starsExcellent electric toothbrush for first-time users! 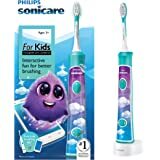 First time user for electric toothbrush. 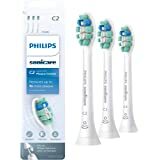 Glad I spent extra for the toothbrush that has the different intensities because I needed to start on the lowest one first to get comfortable with it. I really like the change in tone that alerts you when to move to the next quadrant while brushing. Love the color and the case that comes with it. There are air holes on one side of the case so I just flip that side up to keep it ventilated while not using. Have been using it for a couple weeks without having to charge it yet. I also like that it has different modes that you can use. Really happy with my purchase! 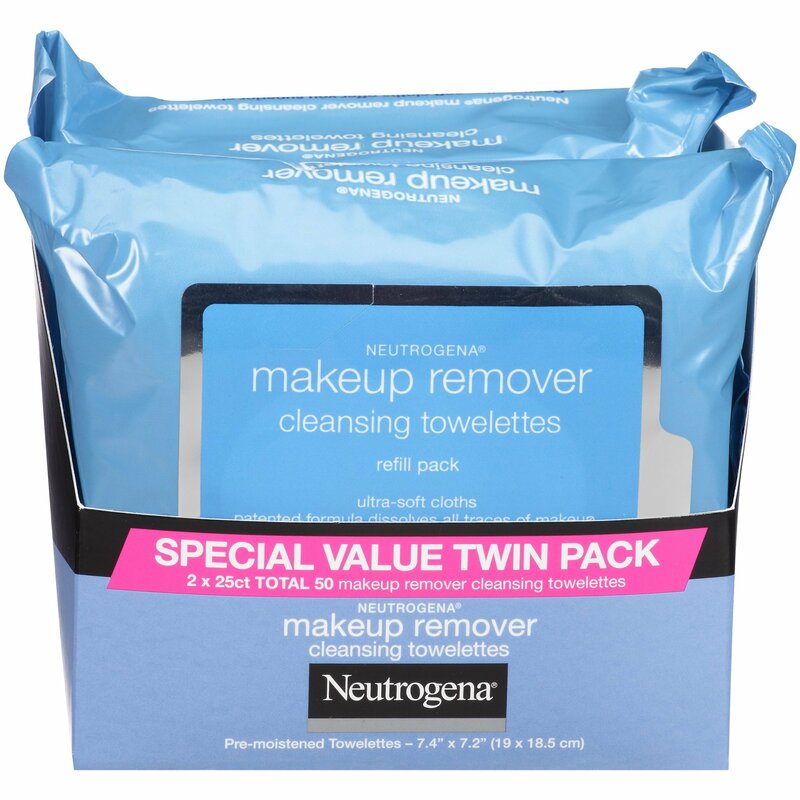 I bought this as a replacement for my broken diamond clean toothbrush. 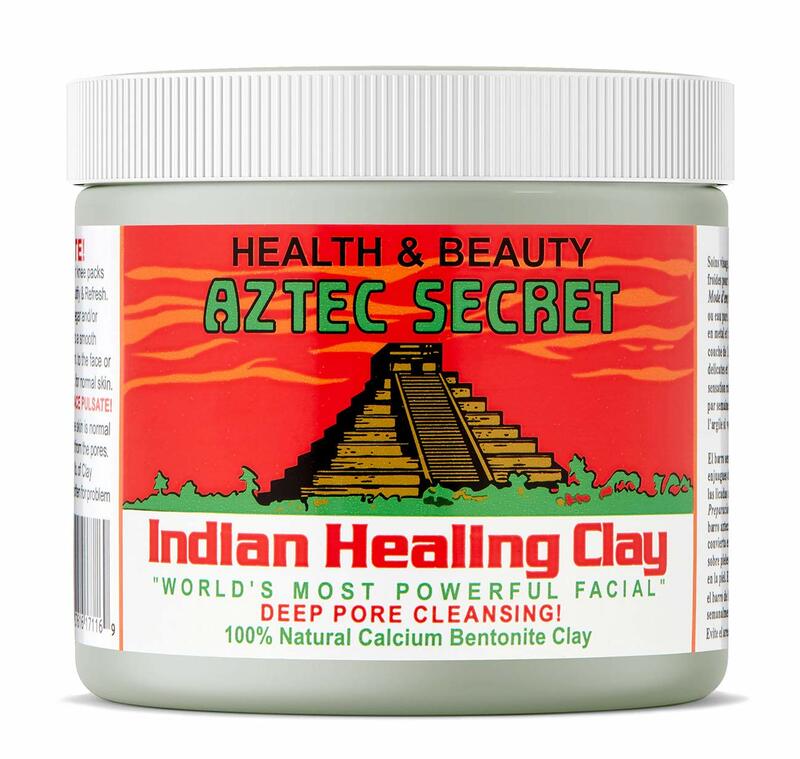 This one could reach perfect cleansing easily and it has 3 levels of intensity for each mode, which is very good for my sensitive teeth. 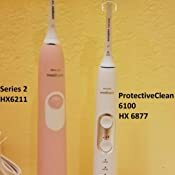 The only cons is that the battery doesn't last long like the diamond clean brush， and I need to be careful with the stain splashed out when I use the brush.